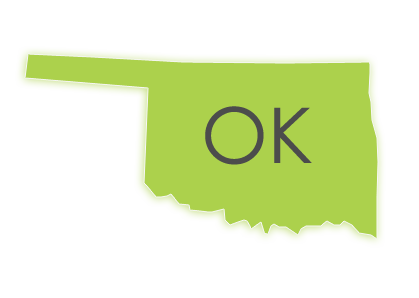 We will deliver you a qualified Oklahoma court reporter anywhere necessary. Discovery Litigation Services can easily book a court reporter in Oklahoma regardless of the location of your deposition. We will provide exactly what you need on time. Discovery Litigation Services uses only the most skilled Oklahoma court reporters. Tracking down a qualified court reporter in Oklahoma, booking a conference room, finding the right legal videographer, assembling all of the pieces required for your deposition is its own job. Let Discovery Litigation Services handle managing these details for you. This is our expertise. Let Discovery Litigation Services handle everything for you. No deposition is too distant for Discovery Litigation Services’ streaming court reporters. You won’t have to limit your selection just to whoever is “available”. Choose from the best stenographers and legal professionals no matter your address. Discovery Litigation Services offers coverage across the country for court reporting, videography, and trial presentation solutions. It doesn’t have to end there. There’s more to our services than court reporting. You need someone to manage the entire process. Having the right court reporter is only one aspect of your deposition. After the deposition is over, you need a firm who will provide timely delivery of your transcript. Whether it is a deposition that requires just a court reporter or one that requires a videographer and interpreter, we manage the entire process to ensure you receive everything when you need it. When any need arises, we will always be here for you. In addition to a court reporter, we provide experienced legal videographers. Our deposition videographers are experienced in recording high quality video and audio, ensuring you have a great quality video for use in trial. Every deposition is synchronized to the transcript testimony. This allows for simple navigation through the video. We provide our videotaped depositions in a format that allows for you to click anywhere in the testimony to see the video playback right from that point. The video deliverable provided by Discovery Litigation Services allows for very easy clip creation and import into PowerPoint as well as all of the popular trial presentation programs. By using Discovery Litigation Services for your videotaped deposition, you will save both time and additional cost as you are preparing for trial. Discovery Litigation Services will provide you with the quality and expertise your case requires and transcript and video tools that will make you more productive. Reach out to us to see how we can customize a package to fit your needs. Or just click “Schedule a deposition” now to get started today.